25 years later, Goldblum is ready to face the T-Rex once again. Only this time, he has a far more advanced Jeep on his side. 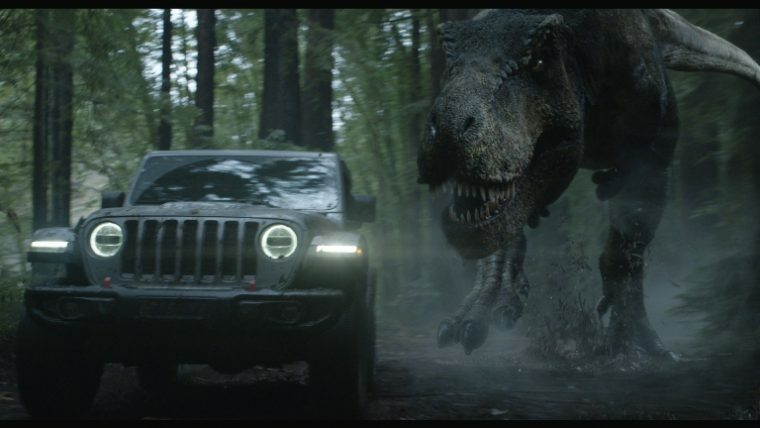 That’s the premise behind one of Jeep’s Super Bowl commercials that was shown last night during the big game. The advertisement starts out with footage from the aforementioned scene. 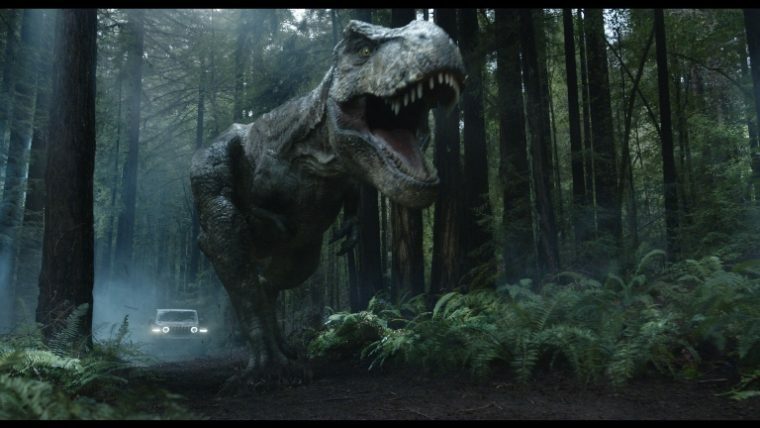 When the Tyrannosaurus approaches from behind, however, it quickly cuts to Goldblum behind the wheel of a modern Jeep Wrangler Rubicon. Goldblum utilizes features like a rear window wiper and blind spot detection to keep tabs on where the terrible T-Rex is currently located. With a bit of expert braking, Goldblum turns the tides, placing himself behind the dinosaur, turning the pursuer into the pursued. The expert blending of nostalgia and humor made the advertisement one of the most popular of the evening. Of course, it also helps promote this summer’s Jurassic World: Fallen Kingdom, the fifth film in the Jurassic Park franchise. Jurassic World: Fallen Kingdom follows the efforts of Claire Dearing, portrayed by Bryce Dallas Howard, and Owen Grady, played by Chris Pratt, to save the dinosaurs left on the island of Isla Nublar before a volcanic eruption spells extinction for them. Meanwhile, Goldblum is set to reprise his role as Dr. Ian Malcolm, undoubtedly bringing his signature wit to the Jurassic Park movies once again.